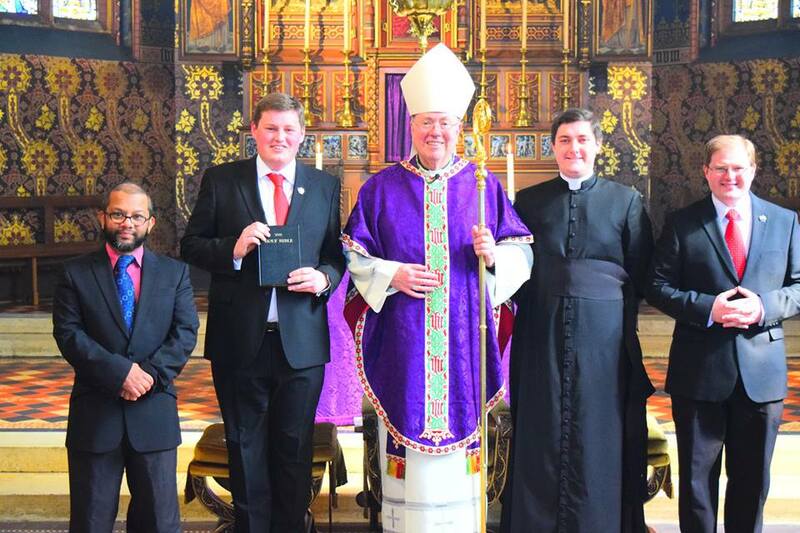 Welcome to another post of the Bishop’s Blog! 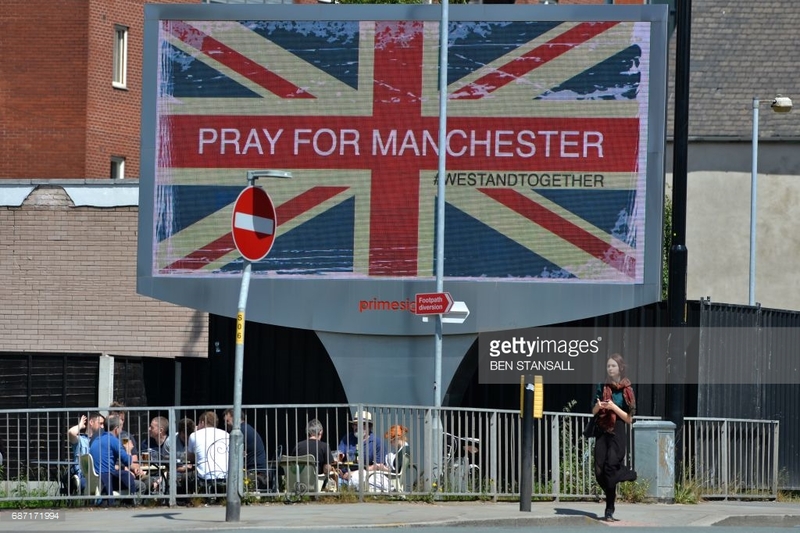 The events of the past week were tragically overshadowed by the Manchester bombing outrage with such devastating and lethal impact on so many innocent young lives and others. We in the Diocese of Lancaster offer our sincerest sympathies to the families affected, especially to the bereaved, and pray for the eternal repose of those whose lives have been so violently cut short. May the good Lord comfort and be close to those struggling with their injuries and the trauma of it all. We stand by them in solidarity, and they have the assurance of our prayers and thoughts now and in the difficult and challenging days ahead. 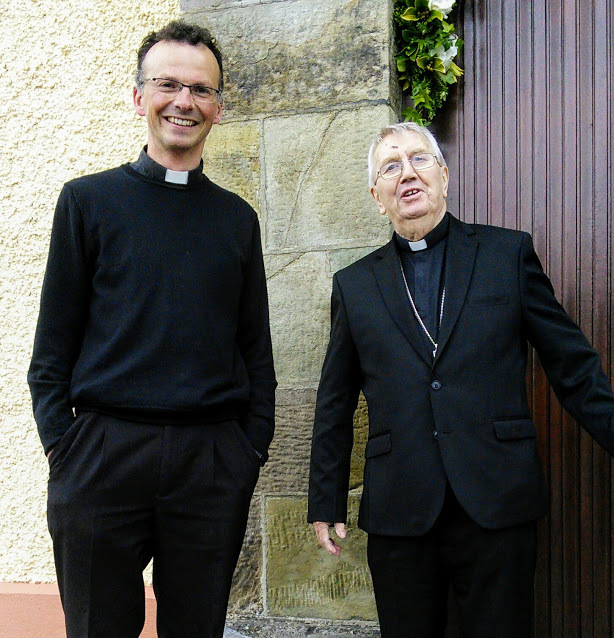 Last weekend I travelled to Co. Cork, Ireland, to join my immediate predecessor as bishop, Patrick O’Donoghue, as he celebrated his golden jubilee of priesthood in the same church where he was ordained all 50 years ago. The church, dedicated to St. Michael the Archangel, Annaleentha, lies within the parish of Mourne Abbey, near the town of Mallow, and was looking its best for this significant occasion. 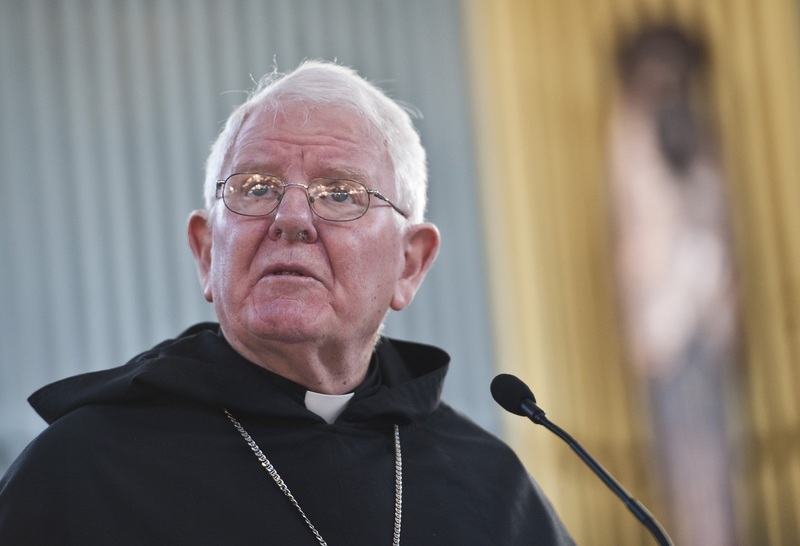 Bishop Patrick was joined by his siblings and extended family for the Mass at which the chief celebrant was the Bishop of Cloyne, William Crean. 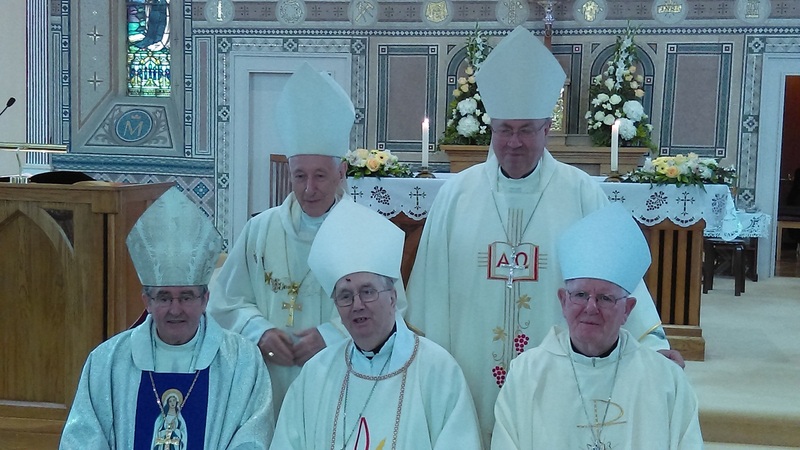 Joining me also as concelebrants were Archbishop Malcom McMahon of Liverpool, a long-standing friend of Bishop O’Donoghue, Archbishop Coveney, a retired Cork-born Vatican diplomat, as well as a good number of priest friends of the jubilarian, including Lancaster and Westminster. My Mass homily is here. 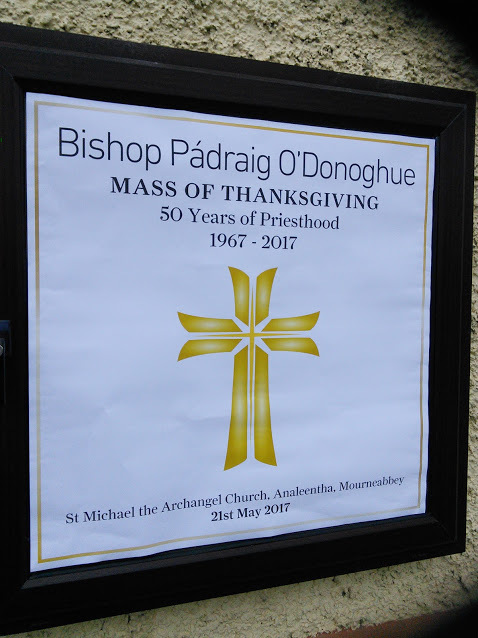 The atmosphere at the Mass and throughout was one of happiness and thanksgiving for Bishop Patrick’s long and dedicated service to the Lord as priest and bishop, first in the archdiocese of Westminster, then as Bishop of Lancaster, and finally serving in the parish of Bantry, Cork, until his return to his own native parish in Mourne Abbey where he is now retired. 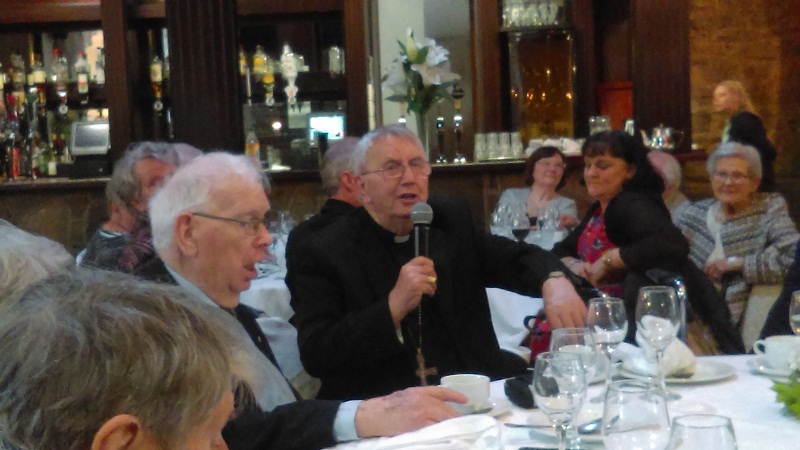 During the very well attended reception afterwards many generous tributes were paid to Bishop Patrick, from his family, Archbishop McMahon, priest friends and others. 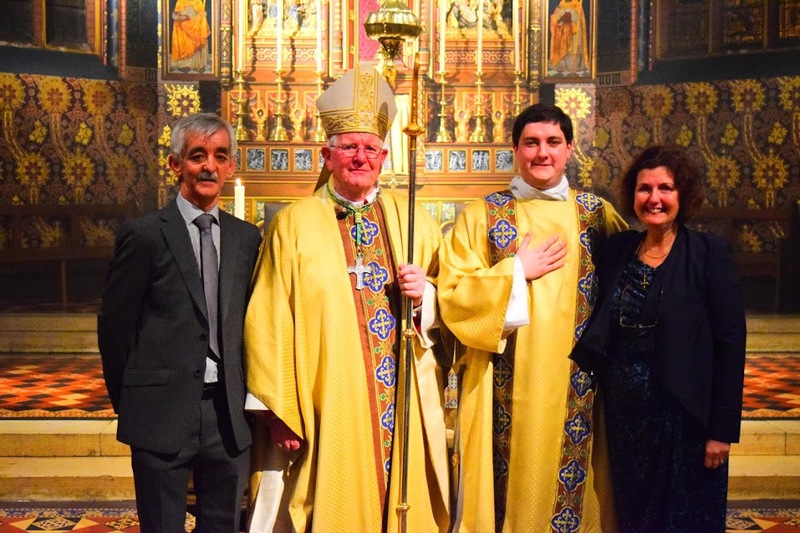 The whole occasion was in effect a celebration of priesthood, and thanksgiving for Bishop O’Donoghue’s fidelity to his priestly vocation, with particular emphasis on his concern for the poor and marginalised down the years. In one of the bidding prayers at the Mass, the Lord appropriately was asked to grant his Church more vocations to the priesthood and religious life. As we celebrated the long ministry of one faithful priest, we do indeed pray that the Lord will answer our prayers in this regard! 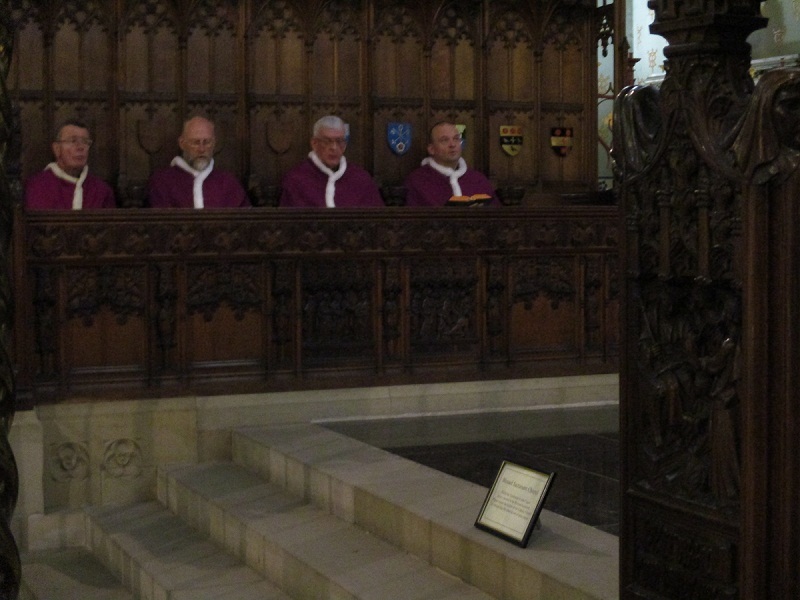 I joined the Canons of the Cathedral Chapter in St. Peter’s Cathedral on Tuesday for their bi-annual Mass. 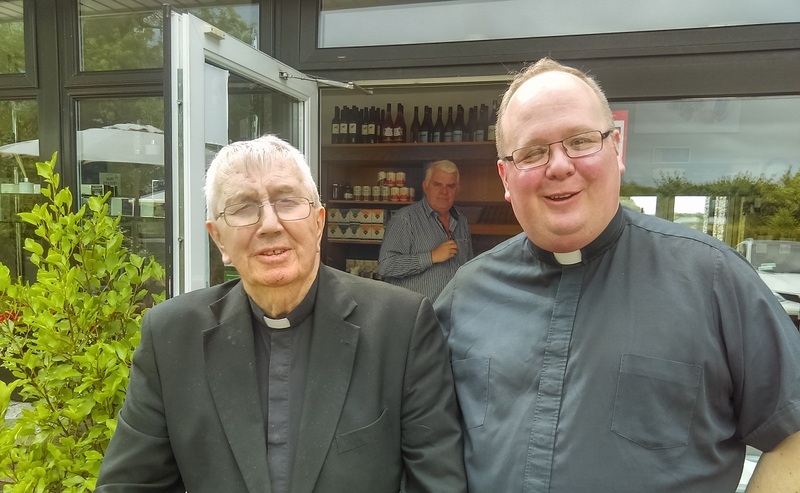 The Chapter meets twice in the year and discuss matters of diocesan concern. Towards the end of their meeting I reflect briefly with them and answer questions which may have arisen in their reflections. 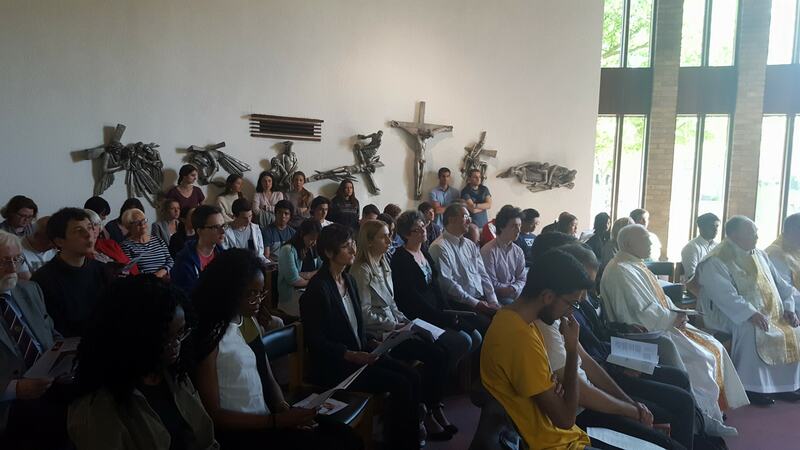 Midday Prayer in the Cathedral is followed by a concelebrated Mass and lunch afterwards. 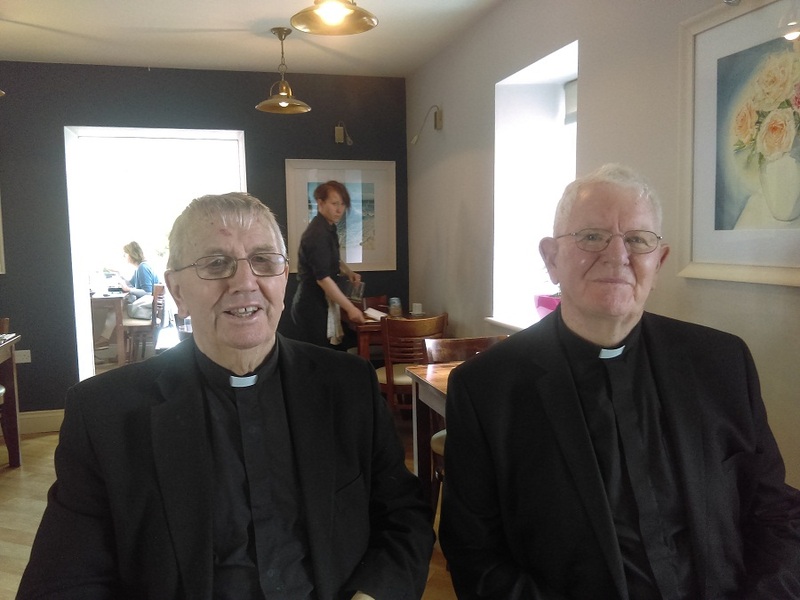 Any gathering of priests has its own unique spirit, something which is particularly true when the senior priests of the diocese meet. Yesterday, in the Syro-Malabar cathedral of St. Alphonsa, Preston, I joined Mar Joseph Srampickal and many of his priests and faithful for the blessing of the oils. 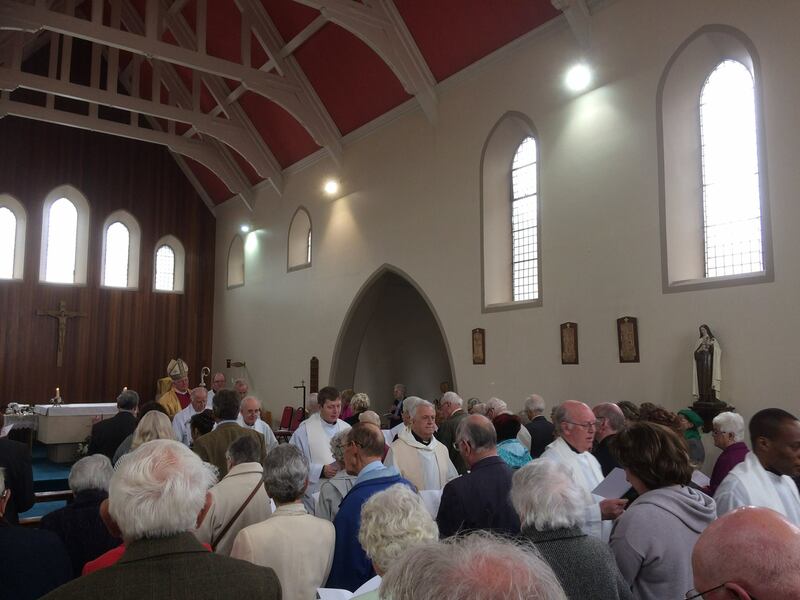 Following their own liturgical calendar, the Mass was that of the Ascension of the Lord. Interestingly, the only oil Mar Joseph consecrated was that of Chrism, as different provision is made for the other oils, that of the sick and catechumens. A Syro-Malabar liturgy is inevitably rich in colour and accompanied by considerable singing and chanting on the part of bother priests and people. To those of us accustomed to English in our Roman liturgy, it is strange to hear another and totally different language used in worship. However, the prayers and gestures of this Church which claims descent from the apostle Thomas are, I believe, very rich in biblical allusions, and convey a sense of the majesty of God and of the worshipper’s involvement in some mysterious way in the heavenly liturgy. I was also reminded of the great Eastern liturgical tradition where time hardly seems to matter, and the worship of God is carried out in a profound and almost other-worldly way. 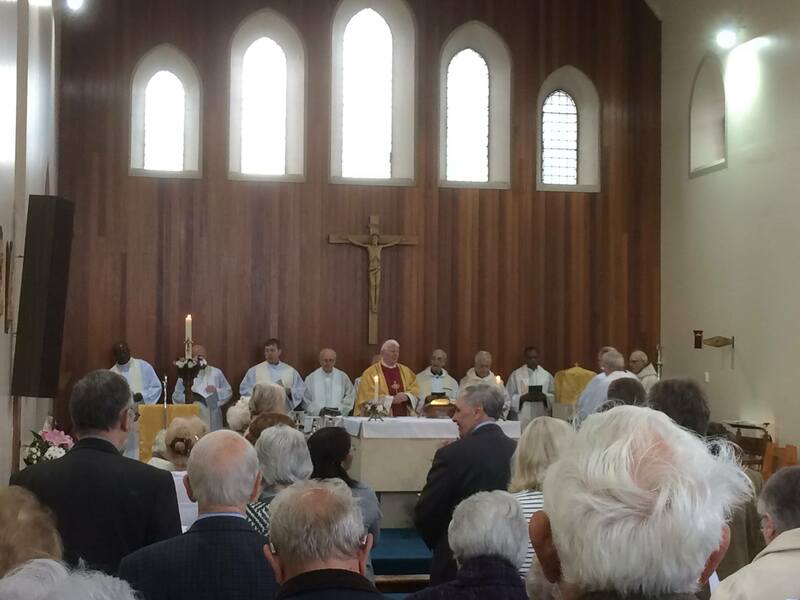 The Carmelite sisters of the Preston Carmel marked the centenary of their foundation last Saturday with a concelebrated Mass at which I was the principal celebrant, joined by a number of the local clergy and other priests associated with the Carmel. The homily text can be found here. 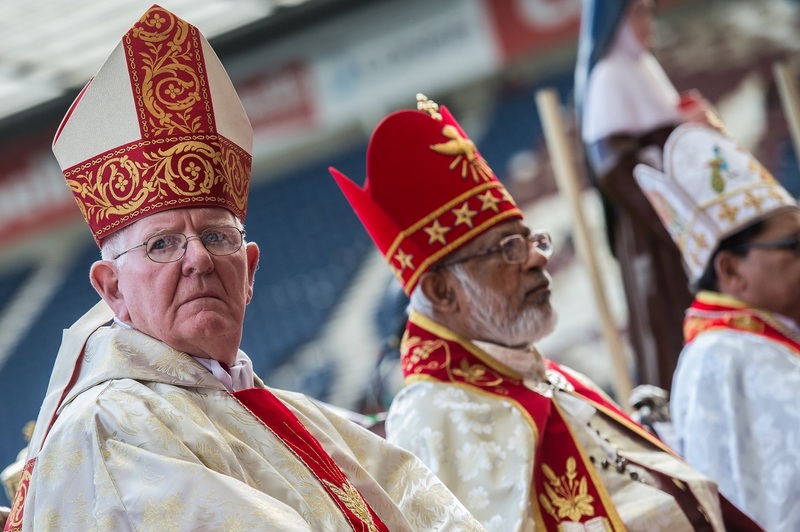 The large number of people from Preston who attended the Mass was an indication of the high esteem in which the sisters are held. The reception afterwards allowed everyone to meet and talk, and no doubt share their own particular memories of Preston Carmel. 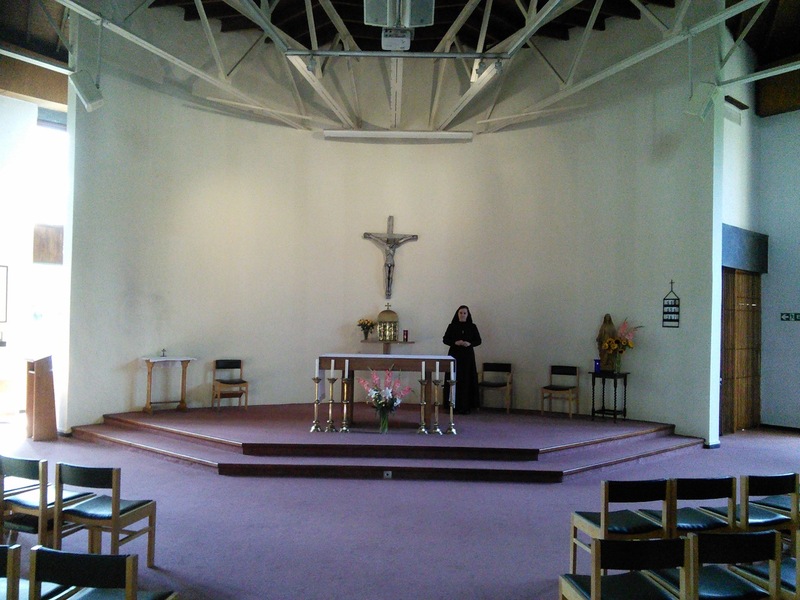 The Carmelite and contemplative way of life has a long and venerable tradition in the history of the Church, and the saints from that tradition have become familiar names, such as Teresa of Avila, John of the Cross, Therese of Lisieux, and in our own time St. Teresa Benedicta of the Cross, perhaps better known as Edith Stein who died in Auschwitz in 1942. 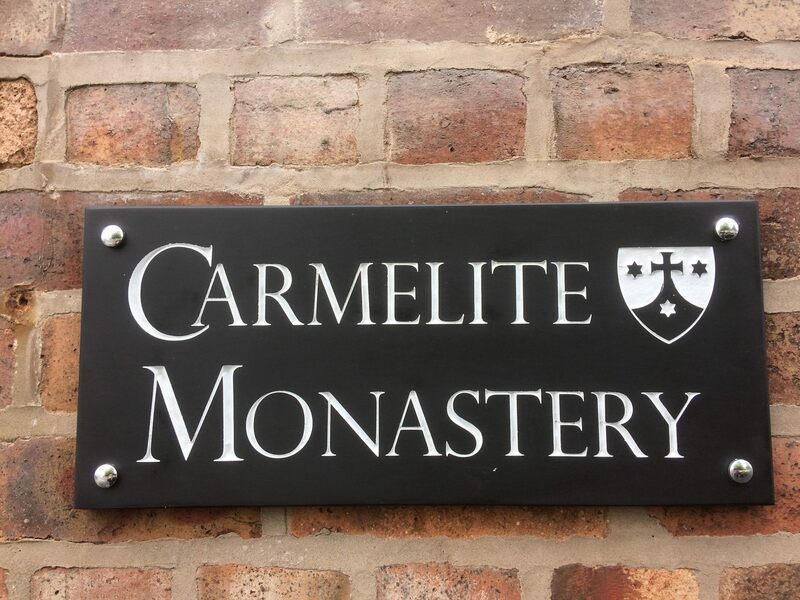 The Carmelite Order draws its inspiration from Mount Carmel in the Holy Land, where the prophet Elijah encountered the Lord God in the “gentle breeze” or “still small voice.” The presence, therefore, of a Carmel in a diocese is a living reminder of the supreme importance of God, prayer and silence in our busy and rapidly changing world. The daily rhythm of prayer and intercession of the Carmelite sisters is a great blessing and consolation, and achieves more before God than we can ever know. 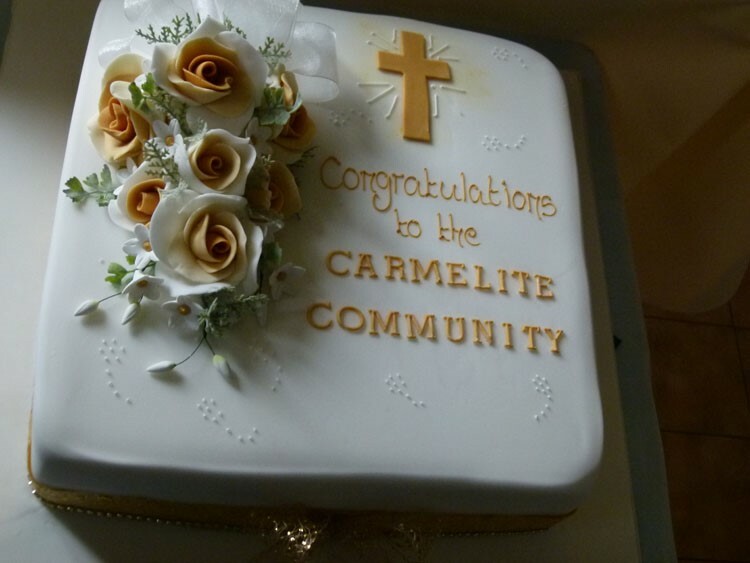 We wish the sisters of the Preston Carmel every blessing as they embark on their second centenary! One of the most significant moments in the earthly life of Our Blessed Lord was his Transfiguration on Mt. 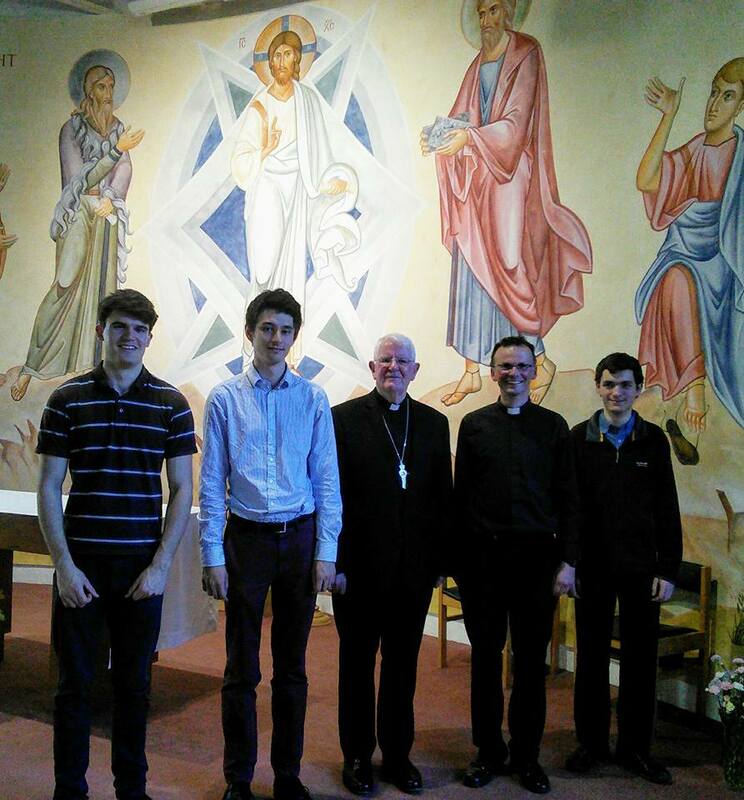 Tabor in the presence of Peter, James and John. Appearing alongside Christ were Moses, the great lawgiver of Israel and the prophet Elijah, the indomitable defender and upholder of Israel‘s faith. 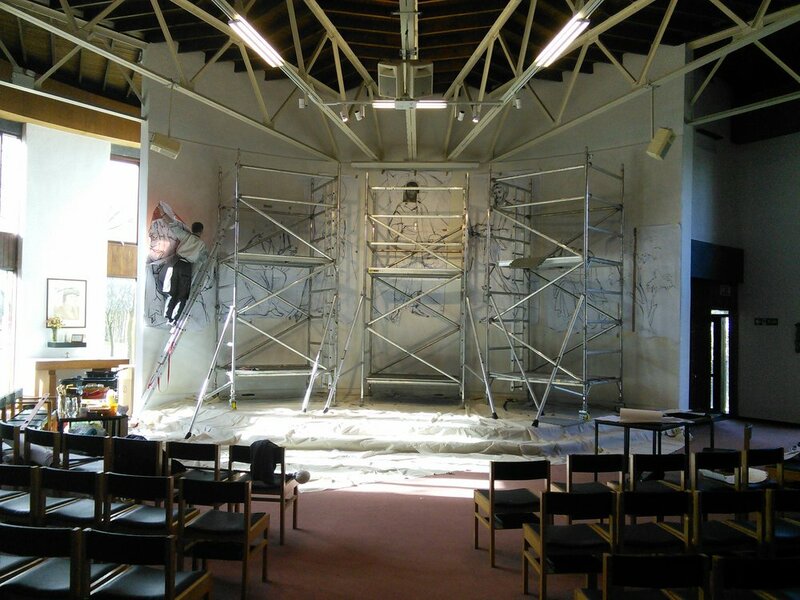 That vision of the Transfiguration has now been strikingly and beautifully captured in a fresco which adorns the chapel of the Catholic Chaplaincy of Lancaster University. 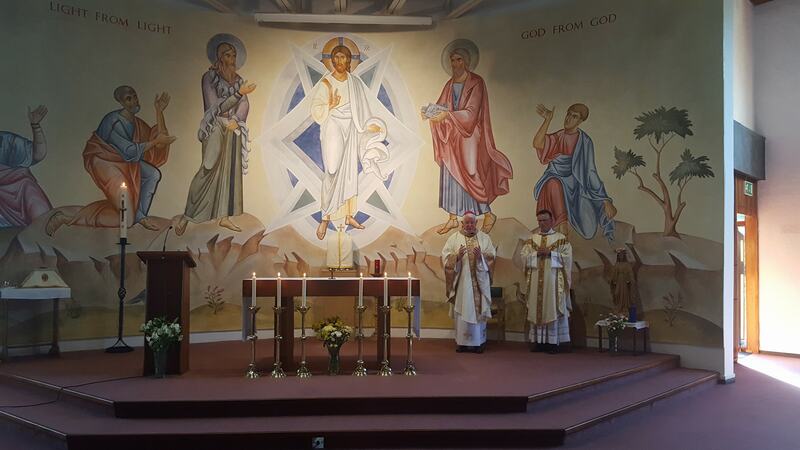 On Sunday evening, during Mass, I had the pleasure of blessing this lovely work of art in the presence of a large attendance of students and generous friends who had supported this very commendable initiative of our Catholic priest-chaplain. My homily text is here. A religious work of art has the power to speak to those who stand and contemplate it. 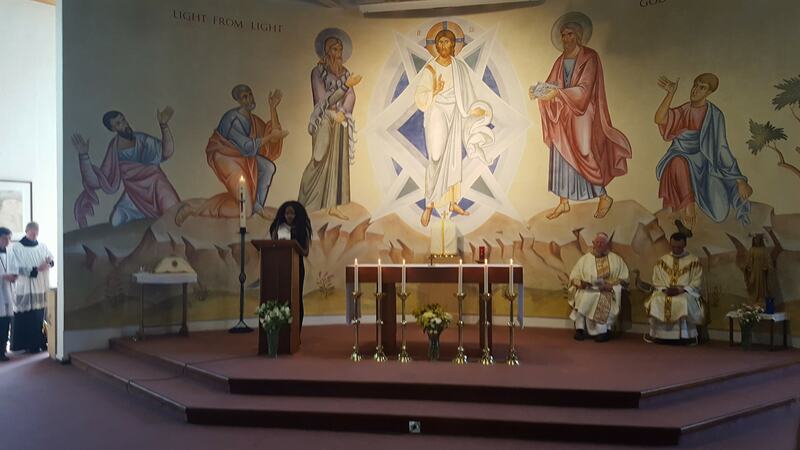 I have no doubt that the scene of the Transfiguration depicted in the University chapel will speak powerfully to successive generations of university students as they come together to worship God. 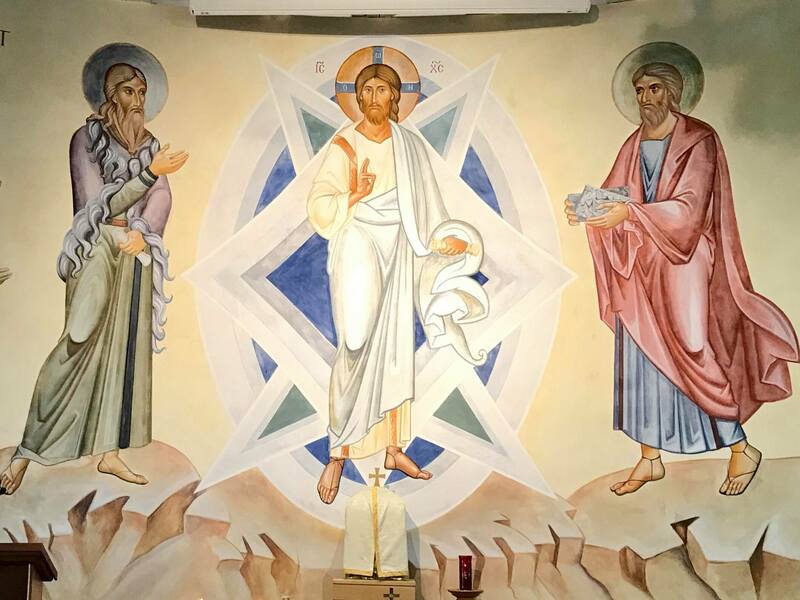 The fresco offers much to ponder: we have the glorified and majestic Christ, flanked on each side by the powerful figures of Moses and Elijah, and the three transfixed disciples quite beside themselves in wonder and puzzlement at what they were witnessing and experiencing. The artist has also included other smaller details which catch the eye and enhance the whole setting. This handsomely executed fresco offers much to the viewer. 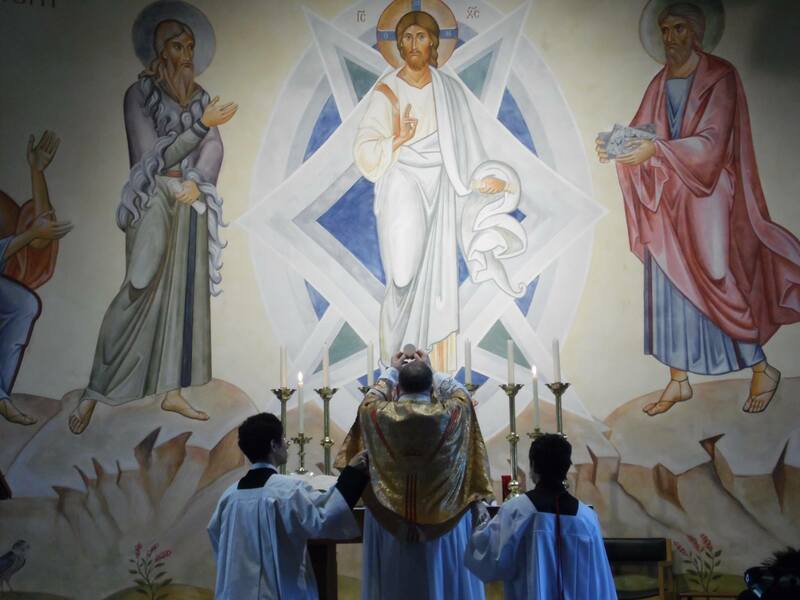 The Transfiguration affords us a glimpse of Christ in glory. May it raise the mind and hearts of all who take time to view this truly appealing excellent work of art! With every good wish and prayer for the week ahead. 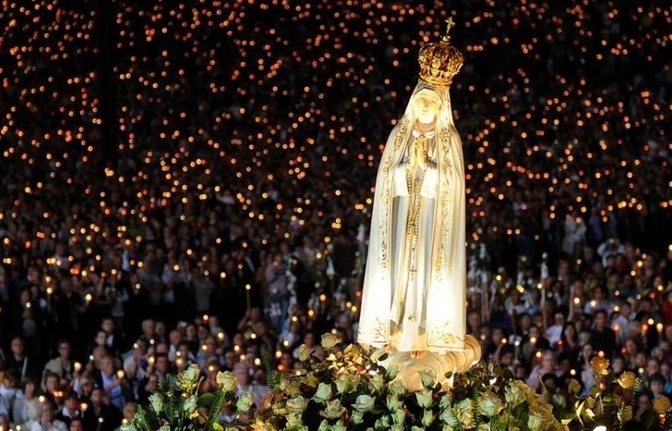 Our Lady of Fatima – Pray for us! 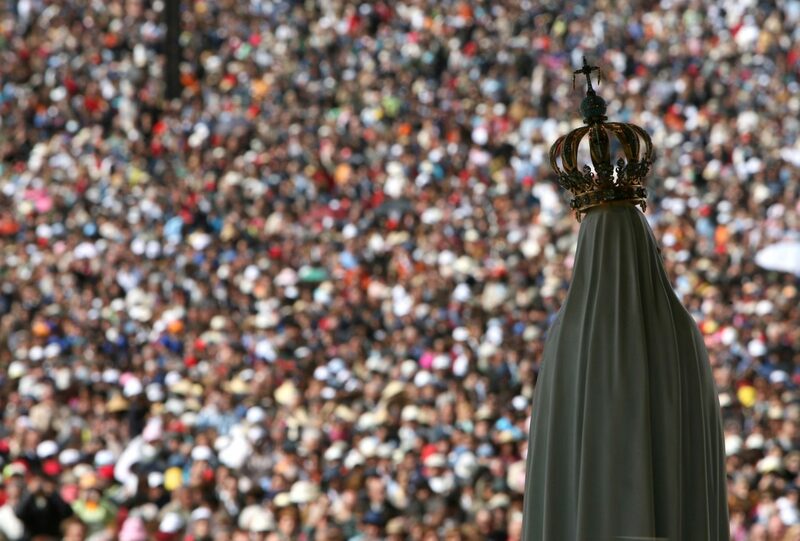 Today, 13th May, Pope Francis is on pilgrimage to the great shrine of Our Lady at Fatima, in Portugal. The timing is no accident, because it was on this day one hundred years ago that the Blessed Virgin Mary appeared to three children who were tending sheep. This was the first of a number of appearances of Our Lady to these children, and the thrust of her message to them was the need for penance and prayer, especially for world peace and the conversion of Russia which was in political turmoil at that time and on the point of turning communist. A highlight of Pope Francis’ visit will be his canonisation of two of the visionaries, Jacinta and her brother Francisco, both of whom did not live to grow into adulthood and died not long after the apparitions. The third visionary, Lucia, eventually became a Carmelite sister and had a long life. She died at the age of ninety-five in 2005, and her cause for beatification is already in progress. The authorities of the shrine are expecting pilgrims in their hundreds of thousands to gather for this significant anniversary and the canonisation ceremony. 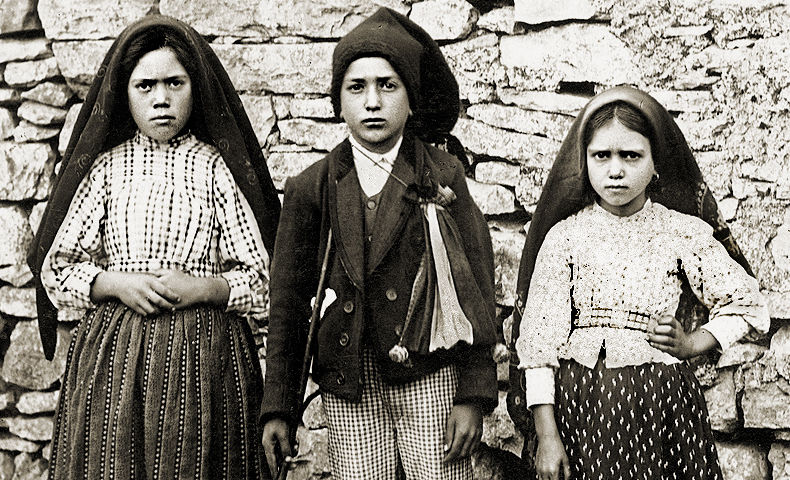 A remarkable feature of Fatima, and worth pondering, was that the three children were poor and illiterate and, in the words of the Vatican Secretary of State, “how they proclaimed a message of love and forgiveness at a time of war when the talk was of hatred and vendettas.” We may also reflect, as in the case of St. Bernadette of Lourdes, and the visionaries of Knock in Ireland, how the Mother of God chooses the little people to appear to and to make her wishes known. The heart of her message remains always constant and the same, that is, the need for prayer and penance on the part of Catholics and Christians and how these can change the world. 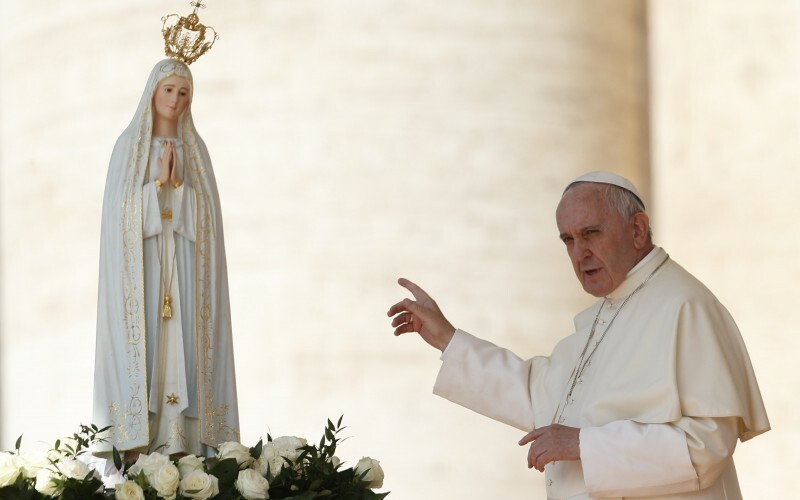 Pope Francis has stated that he will pray especially for world peace on his pilgrimage to Fatima this weekend. 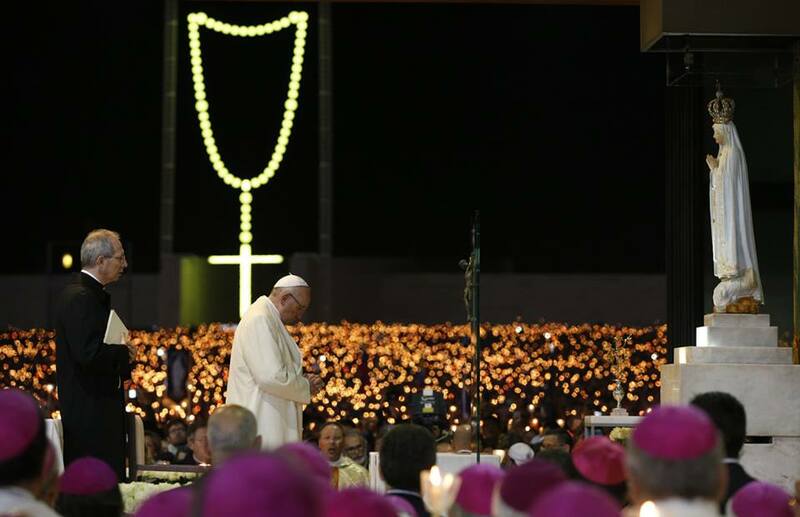 He invites all the Church, even if we are unable to be present there, to join him in prayer to Almighty God and the Mother of his Son for peace and reconciliation in a world often riven by conflict, division and mutual suspicion. The opening words of Our Lord in the gospel were a call to penance and a change of heart, and the appearance of Our Lady to the children of Fatima simply endorsed that call of her Son. Our prayers and acts of self-sacrifice, even the smallest and apparently simple, can and do make a difference before the God of mercy. My own recollection of Fatima is of a unique, penitential place of conversion and prayer, different in atmosphere and character from other Marian shrines I know. I felt it had a simple, almost peasant character to it, greatly loved by those Portuguese people who lived on the land and earned their livelihood from it, like those original three unlettered children. Let us then go in spirit to Fatima today, joining the Holy Father in prayer for all his intentions, and aware in faith that the prayers of each of us do matter. May the two newly canonised saints, and Our Lady of Fatima, accompany us in the Diocese of Lancaster and us all with their prayers and intercession! The Scripture readings in today’s Mass speak of God’s care for us, drawing on the language and imagery of a shepherd watching over his sheep. And our responsorial psalm is the familiar and much-loved psalm, The Lord is my Shepherd. 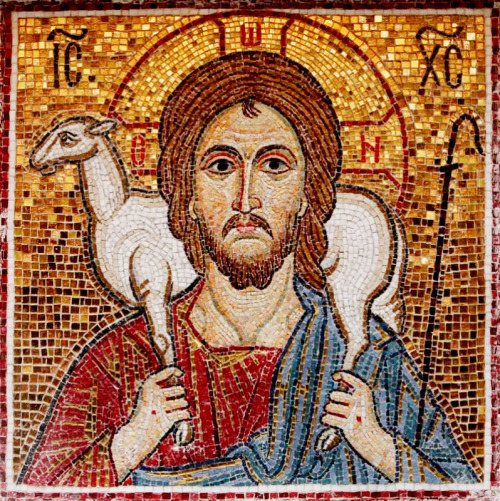 With good reason, therefore, this Fourth Sunday of Easter is called ‘Good Shepherd Sunday’, and that Good Shepherd is Christ the Lord. We recall during these days of Eastertide that He became our Shepherd through the shedding of His blood on the cross and by His glorious resurrection to new and eternal life on Easter day. The Lord speaks in the gospel of a shepherd who knows his sheep personally and calls each one of them by name. It is a wonderfully reassuring thought that Christ knows each of us individually and, in the manner of a true shepherd, feeds and protects us, and wants only what is best for us. In fact, He has proved the extent of His love by laying down His life for us. His closing words in today’s gospel say it all, I have come so that they may have life and have it to the full. We praise and give heartfelt thanks to God our Father for the gift of His Son as our Good Shepherd. 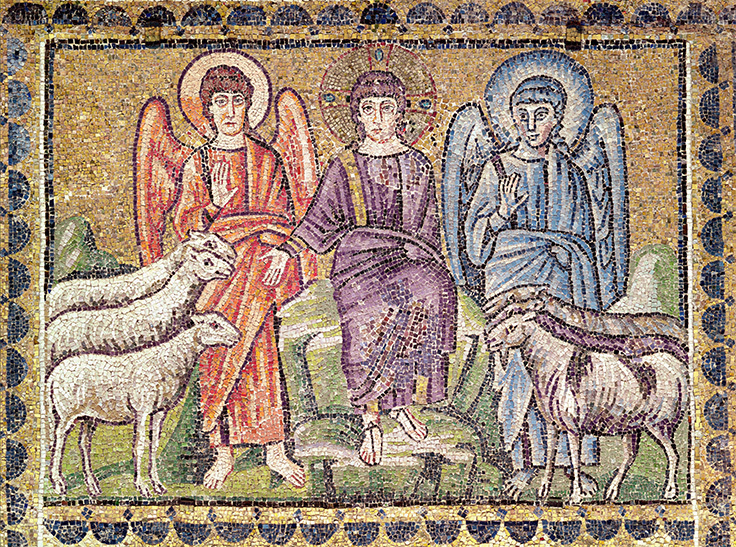 Christ continues His ministry as Shepherd on earth in a particular way through the sacramental life of the Church. As a shepherd seeks out the most nourishing pasture for his sheep, so Christ nourishes us with the most sacred food of His body and blood in the holy Eucharist. Beginning with baptism, the other sacraments which we receive on our faith journey through life are grace-filled encounters with our loving Shepherd, until we finally see and meet Him face to face in eternity. We pray therefore in this Mass that we may never wander or stray from the rich and true pastures of our one Good Shepherd. Just as Christ chose Peter and his companions who would continue His work of shepherding, so in every age He needs other shepherds to assist Him in tending His flock. And it is the same in our time. The Church worldwide, and the Diocese of Lancaster, prays today for priestly shepherds to channel and make available the graces won by Christ’s redemption. 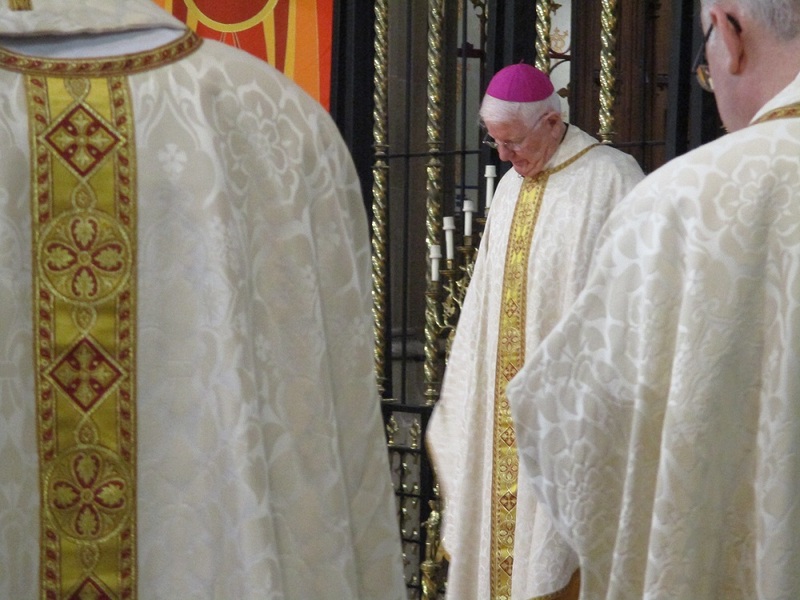 My dear people, please help to sow the seed of a priestly vocation in someone you know – approach and encourage them. Join me in obedience to the Lord’s command and pray earnestly to the Lord of the harvest to send priestly labourers into His vineyard. Let our faith not fail us, and be convinced that the Lord will not be remiss in providing priestly shepherds for His people who are so precious to Him, and which He has redeemed by His own blood. To those young men (and older) who sense the stirrings of the Holy Spirit, calling you to service of Christ and His Church, I say this: be open to that call, pray and take the risk. 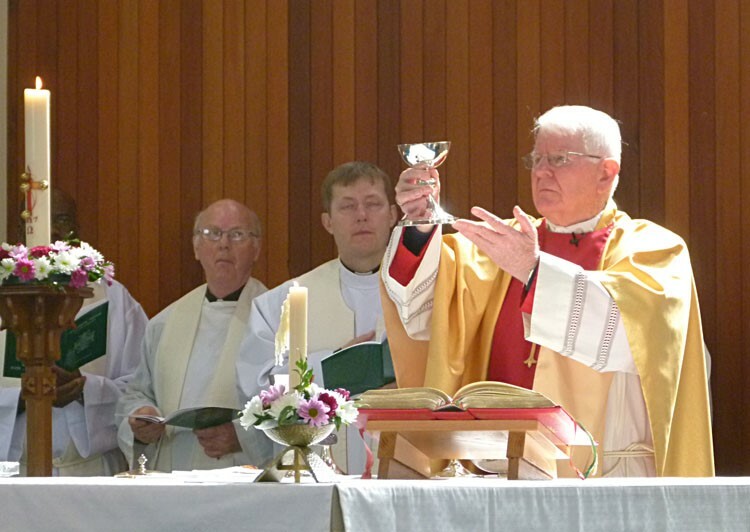 Be a part of the Mission of this Diocese as a Priest. 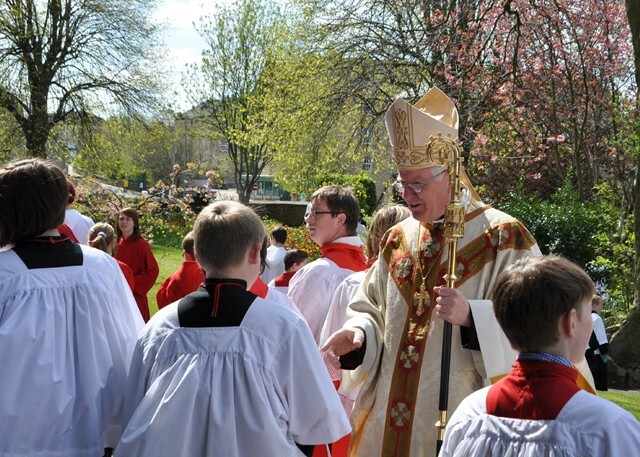 You are needed by the whole of our Diocesan Family and can be assured of the prayers and support of all. Commending our seminarians and each one of you to the care of the Good Shepherd, I assure you of my prayers, and with my blessing.